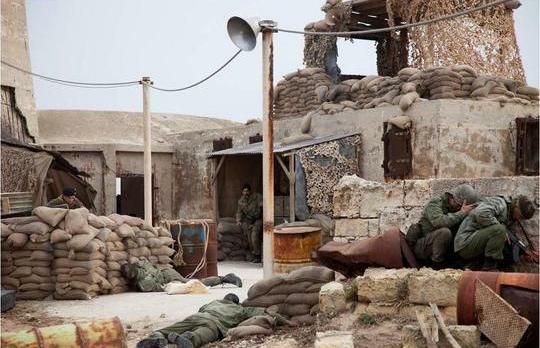 Malta doubling for Iraq in the production of the The Devil's Double earlier this year. Photo: Sofie Silbermann, Corsan nv. Malta’s film-servicing industry is continuing to experience an unprecedented level of incoming productions. Film commissioner Luisa Bonello said in a statement issued by the Film Commission that a wide variety of productions were being filmed in Malta this year, including a forthcoming television series being produced by American cable television giant HBO, the first time that a television series of this calibre and size is being shot on the island. Finance Minister Tonio Fenech said that this steady influx of productions would contribute considerable added value to the economy. The presence of a company such as HBO in Malta would consolidate Malta's reputation as a viable, efficient film destination in face of the stiff competition from other countries. Last year, 14 overseas productions filmed in Malta, including eight television series/mini-series, parts of four feature films and two commercials. Ms Bonello said this year looked set to continue this positive trend with another 14 productions expected to be filmed in Malta by the end of the year, contributing millions of euros into Malta’s economy. The government’s strong support for the sector and the continuous development of local crew and support services were additional contributors to the growing success of this industry, she said. This year has already seen the filming of the feature film The Devil’s Double, directed by well-known director Lee Tamahori, with Malta standing in for Iraq in a story about Saddam Hussein’s son’s double, four television films from Italy, Germany and Russia and a small French documentary. July is seeing the filming of a Russian docu-drama, a UK docu-drama from the renowned production company Darlow Smithson and an Italian television film from returning production company Leader Productions from Rome, who are producing their third film in Malta this year for Mediaset. The productions confirmed for the rest the year include an Italian feature film shooting for a few days in August at the Mediterranean Film Studios, directed by Emanuele Crialese. This will be followed by the start of work on three productions; the sequel to the successful German children’s film Vicky the Viking, being shot in 3D for a month at the water tanks (the first was partially filmed in Malta in 2008), a French film titled The Pig of Gaza, with Malta doubling for Gaza, and part of a large HBO Entertainment series entitled Game of Thrones that begins filming next week in Northern Ireland. The Malta Film Commission has been in discussions on the project with HBO for several years, and the US cable television giant company has greenlit the first season for 10 episodes, parts of which will be filmed on the island. The main production is based in Belfast, Northern Ireland with Malta being the second location. Game of Thrones is a new original HBO series based on George R.R. Martin’s best-selling series of novels “A Song of Ice and Fire”. The pilot was written by David Benioff and D.B. Weiss; the former was also the writer of Troy. The medieval fantasy portrays a world where summers span decades and winters can last a lifetime, and where the Westeros crown comes with a price. The series encounters betrayal, lust, intrigue and supernatural forces that shake the four corners of the Kingdom, from the scheming south and the savage eastern lands, to the frozen north and the ancient Wall that protects the realm from the darkness beyond. Kings and queens, knights and renegades, liars and noble men vie for power in the bloody struggle for the Iron Throne. Other productions confirmed for 2010 include a US – Italy co-production television mini-series about Robinson Crusoe. A sizeable UK television series is expected to begin preparations at the end of the year for a 2011 shoot. This also marks an important development for the film-servicing sector here, with continuous incoming productions lined up for a substantial period, the Film Commission said.